Our versatility, creativity and innovative approach gives our customers the competitive edge. 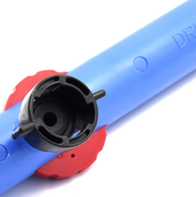 Plastic injection moulding is our business and in the past 18 years, we have shown that the correct approach at the start of the project will save time and money when it comes to sampling and production. The injection moulding process is extremely versatile, plastic is a wonderful material which provides product designers and companies with a world of possibilities. Techniplas are skilled plastic moulders who have the capability to produce mouldings from less than 1 gram to components of up to 600 grams. We work on many different projects that include low volume batches up to multi millions of components. We are able to provide a complete service from design to assembly, post moulding decoration and packaging. We use the latest technologies in our production including the latest automation to manufacture parts, monitor quality and ensure repeatability.